Are you looking an Excavator Trailer? Europe Trailers is that best place for you! We offer excellent, best performance and high quality Excavator Trailer in Melbourne at the most affordable prices. Our excellent quality trailers are able to helpful for doing almost any job around the construction site. If you any issue with your Mercedes and are thinking to replace the parts, Then Merc4wd is the perfect choice for you. We have all Mercedes Parts in Australia for popular Mercedes Models including Mercedes ML and Mercedes GL. Our aim to provide our clients with reliable and genuine Merc parts in good working condition for a very competitive price. Keep your valuable golf clubs and golf bags dry during wet weather with a good golf cart bag cover. Travel the course in comfort with our easy-to-fit golf cart accessories like covers, enclosures and more Call us on (03) 9580 8948 for the enquiry..
MERC4WD is located in Oakleigh, Australia. We are specialist for Mercedes benz parts in Melbourne. We offer genuine, high standard quality and reliable Mercedes parts at affordable prices. We, also offer an optional 12-month warranty on all of our Mercedes Benz spare parts. 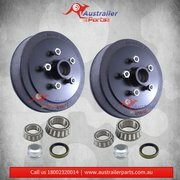 For any inquiry about our merc parts, call us on 1300 637 244, or visit our website https://www. I am honor to serve customer all over the world. Would you like to make your car more luxury and beautiful? Why don’t you contact me to get the best bumper for your car? Our bumpers are made of stainless steel, grade 304, 1.5-2mm thickness and polished. Using our products, you needn't care about its quality. We are experienced over 10 years in manufacturing and supplying bumpers for customers over the world! All models of our bumpers such as VOLKSWAGEN, VOLVO, MERCEDES BENZ, OPEL REKORD, JAGUAR, TRIUMPH, RENAULT, etc, are made of one the best solid stainless steel SAE 304 which never gets rusty, 1.5-2mm thickness and polished surface! Moreover, our products are always available for sales; it will be delivered right to your door within 3-4 days! Please feel free to contact us for any additional information or inquiry! THE CONTACT DETAILS: Ms.
We are experienced over 10 years in manufacturing and supplying bumpers for customers over the world! All models of our bumpers such as WOLKSWAGEN, VOLVO, FORD CAPRI, MERCEDES BENZ, OPEL REKORD, JAGUAR, TRIUMPTH, REMAULT, etc, … are made of one the best solid stainless steel SEA 304 which never gets rusty 1. Our related products such as: * VW KG (Us-Eu-Eu Blade-Type 3)/ VW Beetle (Us-Eu-Eu Blade- Late) / VW Bus T2 (Early-Late) * Volvo Amazon (US/EU)/ Volvo Kombi/ Volvo P1800SE/ Volvo P1800 Cow Horn/ Volvo PV444/ Volvo PV445-Duett/ Volvo PV544, PV544 Grill, PV544 Guard * Mercedes 190SL, MB 190SL Grill, MB 190SL Guard/ MB 219/220SE/ MB 180/190 Ponton/ MB W110/ MB W113/ MB W121/ MB W111 Coupe/ Sedan/ MB W107/ MB W100/ MB W115 * Opel Rekord P1/ Opel Rekord P2 * Jaguar E type series 1-1. We specialize in manufacturing stainless steel bumper, so our bumpers are always available for sales in new condition and high quality. And our company has been operating for over 10 years in stainless steel bumper for classic car .The best bumper is made of solid stainless steel grade 304, 1.5- 2mm thickness and polished. **MANUAL, 4X4, TURBO DIESEL, 1 OWNER, FULL SERVICE HISTORY, ALLOYS, CRUISE CONTROL, BLUETOOTH, 6 MONTHS REGO, . This 2011 Nissan Navara has the power to smash the terrain. It is in excellent condition and is a one owner car, Just completed a major service. All servicing is up to date. Belongs to a smoke-free owner. Only travelled 102000 km. I am only selling this car because I'm due for an upgrade. Never been in an accident, very good Cooper tyres (70%) very well looked after car, drives beautifully, first to see will buy , . GXL Military Land Cruiser 5 seater wagon, manual, in silver pearl. 4.5L V8 turbo diesel.^^Great service history, log books, genuine Toyota snorkel, towbar, dual batteries, spotlights, uhf radio, electrics, aircon, bluetooth, ipod connectivity, ABS, traction control, dual airbags, sidesteps, alloys, ABS, traction control & more. TURBO DIESEL // 1 OWNER // FULL SERVICE HISTORY // SIDE STEPS // PERFECT FOR THE HOLIDAY DRIVE OR THE EVERYDAY DRIVE. This Toyota Landcruiser Prado has adaptive cruise control, has been regularly serviced at Toyota with fully compliant log book history. 4 new tyres and major service in August. Keyless access and start. Bluetooth capability that allows you to make hands free phone calls while driving. 7 airbags to protect you and your family. Vehicles Australia ads Australia, Vehicles classifieds Australia, Vehicles free ads Australia, ads for sale Australia, ads to buy Australia, FREEADSAustralia Page number 7-1. Find here ads for sale, to buy and rent in Australia. Goods for sale in Australia, vehicles for sale in Australia, Australia real estate for sale, Australia property for sale, property for rent in Australia, business ads in Australia, Australia business classifieds, services in Australia, Australia services ads, jobs in Australia, pets for sale in Australia, Australia dating, Australia cars for sale.